MacGregor, part of Cargotec, has supplied Royal Caribbean International's first Quantum Class cruise ship with a crane and observation gondola called the North Star. 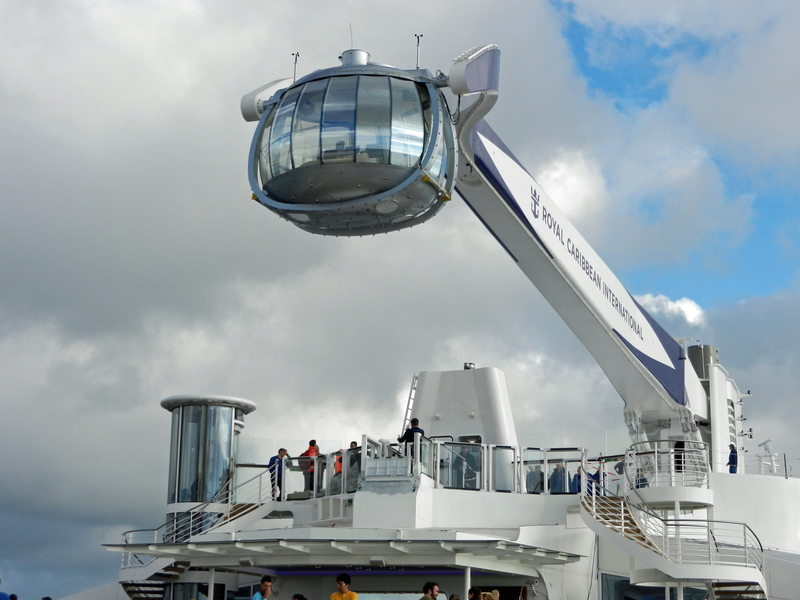 It will lift guests 91m above sea level to give them panoramic views of the ship, sea and ports of call. North Star's 7.1-tonne gondola can accommodate 14 guests and one crew member. A stabilising system ensures that it remains level with respect to the vessel's deck, and will also damp gondola movements, providing a comfortable ride. The crane's slewing system allows the gondola to swing out over the sides of the ship at sea. "We are the first crane supplier involved in anything like this for a cruise ship," says Jonas Hägglund, MacGregor Sales Manager. "The operator needed a crane supplier that would not only deliver the highest safety standards, but also proven, reliable technology for the North Star guest experience." The system is designed for 100 percent redundancy with two separate power units, each large enough to drive the crane in reduced speed mode; it will also be provided with a diesel-driven emergency power pack. Additional safety features include automatic cut outs and safety valve overload protection on all crane motions. The North Star viewing platform will be controlled using a separate PLC safety system in addition to a MacGregor CC3000 crane control system. "The CC3000 provides excellent load control and can easily be adjusted with a laptop computer for different parameters," Mr Hägglund says. "All crane movements will be smooth and immediate, with stepless speed control, essential for this type of guest experience." "Not only is North Star a unique concept in the world of cruise ships, but also in the marine crane industry," says Mr Hägglund. "Normal cargo cranes travel with no load on the arms between ports, but the North Star was designed to operate with a full load of passengers while at sea". Quantum of the Seas can carry up to 4,905 passengers, and is being followed into service by two more ships in the Quantum series. Anthem of the Seas will be launched in April and Ovation of the Seas in 2016.